AMSOIL Synthetic Metric 10W-40 Motorcycle Oil (MCF) is designed for metric bike owners who demand the absolute best lubrication for their motorcycles. 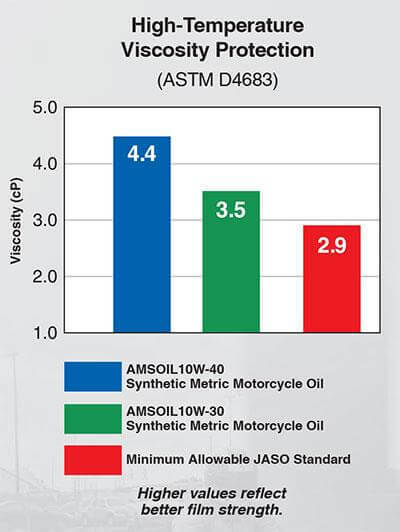 Whether riding aggressively, cruising or in stop-and-go traffic, AMSOIL Synthetic Metric Motorcycle Oil delivers the benefits most important to riders, including premium wear protection; smooth, confident shifts and cool, clean performance. With AMSOIL Synthetic Metric Motorcycle Oil, riders enjoy the confidence and security that comes with providing their bikes maximum protection and performance. It is Warranty Secure™ and will not void your motorcycle's warranty. AMSOIL 10W-40 synthetic motorcycle oil can be purchased directly from AMSOIL Inc. at the best possible pricing along with exclusive free shipping offers. This makes it easy to get the exact products you need for your bike shipped directly to your doorstep. So save yourself up to 25% off versus buying locally! 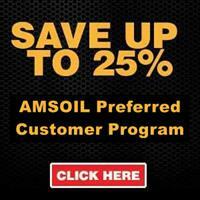 Check out AMSOIL wholesale accounts.